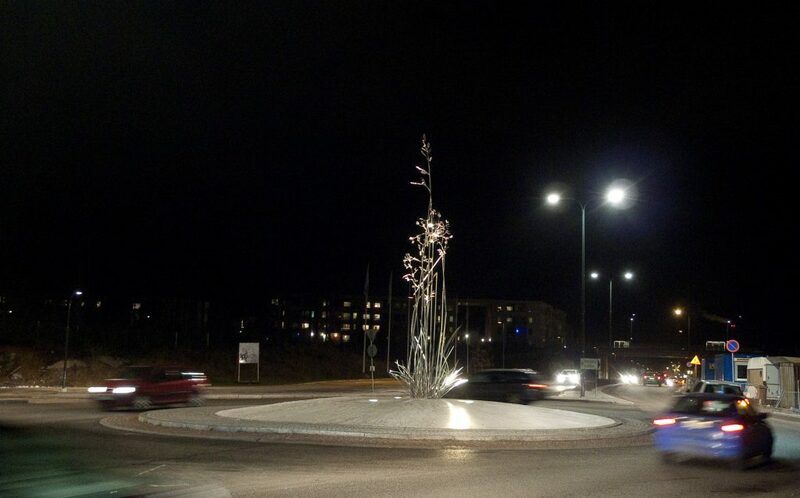 Locals is sculpture in roundabout. It depicts a tussock of local wild plants. 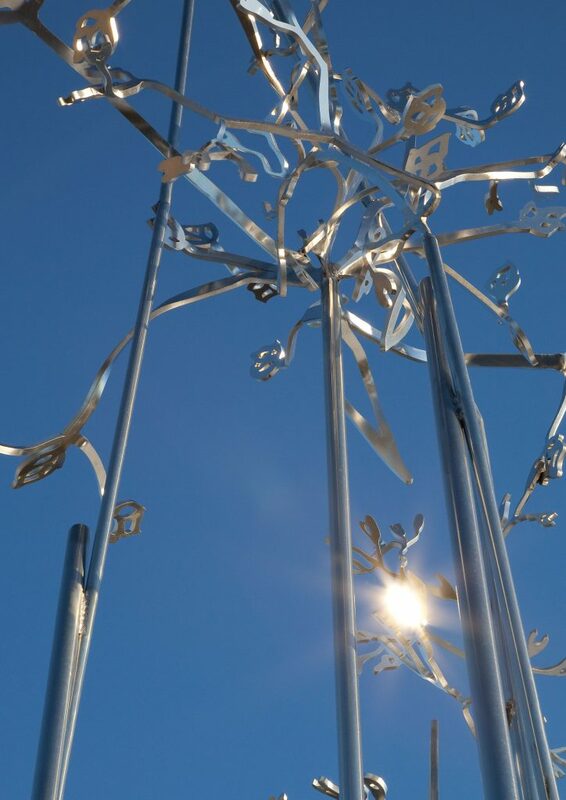 Plants are cut in steel like drawings in scientific herbarium. 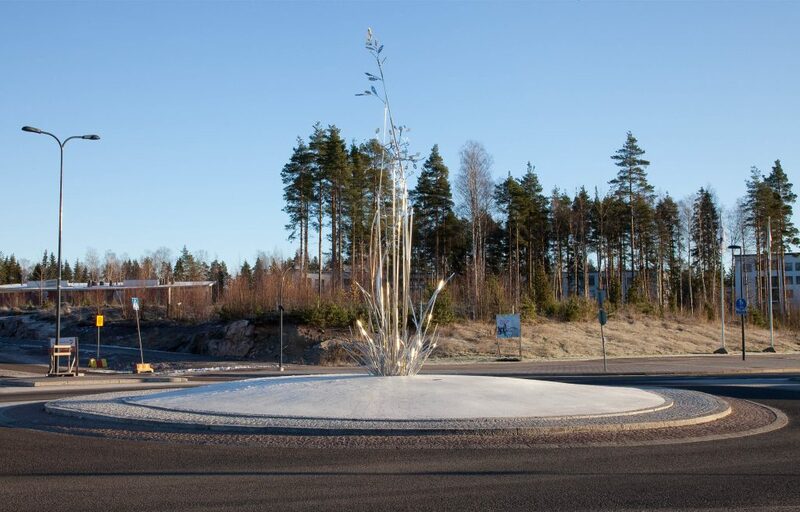 Sculpture appears as a monument for local native habitants.